Arrival at Florence airport and private transfer to your hotel, check-in and relax. First walking tour of Florence. Your guide will let you discover the historical centre with its renowned treasures. 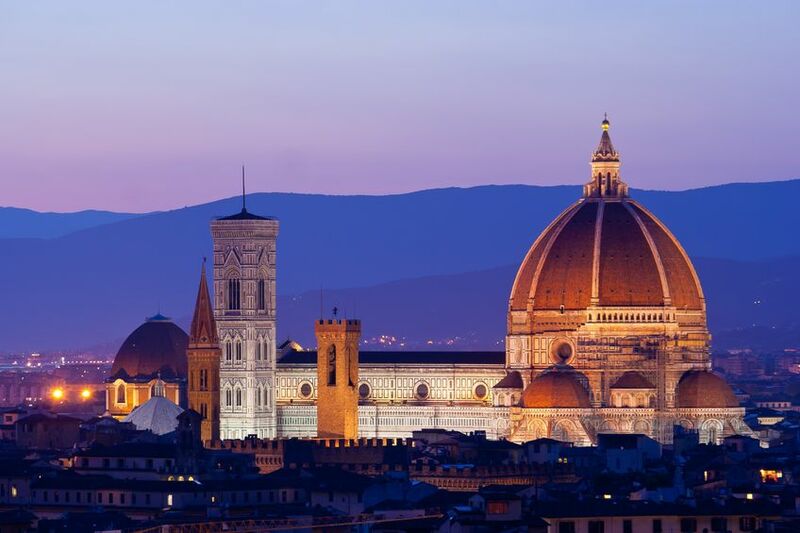 The tour starts with a walk through the city centre with an introduction to highlights such as the Cathedral of Santa Maria del Fiore with its golden globe, the St. John’s Baptistery with Ghiberti’s famous bronze portals, the old city hall called Palazzo Vecchio, and the jeweller’s bridge of Ponte Vecchio. Thereafter, the tour continues to the Gallery of the Academy to take a close look at the statue of David. Free lunch. After a short break for lunch the tour will continue at the Uffizi Gallery for a sample of the most famous pieces of art ever created by artists such as Michelangelo, Leonardo, and Raphael. It is one of the most important art collections in the world: discover how the art of painting developed over the centuries. Your knowledgeable guide will explain the works of the greatest artists from the Middle Ages to the Renaissance such as Cimabue, Giotto, Botticelli, Leonardo da Vinci, Michelangelo and many more. Your experienced guide from Florence and Tuscany Tours will stay with you during the entire day. Since our guides are also local residents here in Florence, they are all very happy to provide you with personal suggestions, tips, and any advice that will help you to get the most out of your stay in this beautiful city. At the end of the tour, you can remain in the museum until closing time. Return to the hotel in Florence. The Vasari Corridor is exclusive, difficult to obtain access to, and one of the hidden treasures of the city. Feel like the Grand Duke on this walk from his private display of artworks on the top-floor of the Uffizi, along the corridor built by Vasari, all the way to the Pitti Palace and the Boboli gardens. Find out why the Corridor was built and what it was use for. Why was it necessary? Join us in discovering this original and special piece of history, this window on the past that is still available to us today. Visitng days: Tuesday, Thrusday, Saturday. Time: 4:45 pm, length 1,5 hour Fee: € 85. € 42,50 for those 6-12 years old if in company of an adult participant. Free for children under 6 years old. Price includes: guided tour, pre-booking and entrance fee for the Uffizi Gallery and exceptional opening of the Vasari Corridor. Return to Florece downtown: our journey starts in the central station and first passes by the extraordinary Santa Maria Novella church on its way to the Arno River and the splendid view of the Ponte Vecchio. We then move up along the Viale dei Colli, one of the most beautiful roads in Florence, to Piazzale Michelangelo, which overlooks the city and its incredible monuments, its particular red roofs and lofty garden terraces. Our next stop is Fiesole, on the other side of the city. This enchanting Etruscan gem towers just north of the city surrounded by ancient villas and marvelous gardens. On our way back to the city centre, our tour will pass in front of Santa Croce church, Palazzo Medici Riccardi and finally Piazza San Marco. Dinner at a typical restaurant and overnight stay at the hotel. Meeting the guide at the hotel. A drive through the beautiful Tuscan countryside will bring you to Pisa, once a powerful naval Republic. In the 11th century the extraordinary Piazza dei Miracoli was built; truly a place of wonders, as its name suggests, this square attracts visitors from all over the world. You will be able to admire the Cathedral, the elegant Leaning Tower, the Baptistery and the Camposanto (cemetery). On arrival you will meet your tour guide for a guided tour of the city including a visit to the Cathedral. At the end of the visit, there will be free time at your disposal. Time at disposal for free lunch. On the way back you you will stop at the fashion outlet around Florence where you will be able to discover the advantages and bargains of this kind of shopping. Transfer to Siena and check-in at the hotel. Dinner at restaurant and overnight stay at the hotel. Meeting the guide at the hotel you will start this tour that touches all the historical and cultural landmarks of the town. From the world-wide famous Piazza del Campo where the Palio horse race takes place, to the historical building of the Monte dei Paschi bank, to the Tolomei palace or the Chigi Saracini one- now a Music Academy. Not to mention the church of San Domenico or the Cathedral where Michelangelo, Bernini, Donatello and Giovanni Pisano left the masterpieces. Lunch with typical products at a restaurant in Piazza del Campo. In the afternoon entrance at Museo Civico. The Museum is housed in the Public Palace, which was built largely between the end of the century. XIII and the first half of the fourteenth, to house the Nine Lords who ruled the Republic of Siena. In the museum you can admire precious frescoes: The Majesty (1315), the Guidoriccio da Fogliano (1328) by Simone Martini (1284-1344) in the hall of the Globe, while that of the Nine cycle of Good Government (1339-39) of Ambrogio Lorenzetti (1285-1348), whose ethical meaning political Government of Nine. Have to remember the cycle of Famous Men (1413-14) by Taddeo di Bartolo (1362ca.-1422). Dinner at a restaurant of the historical centre of Siena. Overnight at the hotel. Visit to the spectacular Crypt under the Cathedral where there is a cycle of fresco masterpieces recently discovered and the extraordinary exhibition of the Madonna del Latte by Ambrogio Lorenzetti. Transfer to the Chianit: meeting the at the Wine Shop and will start the tour of the estate by your car. The tour begins at the ancient Brolio Castle which bears witness to the long and fascinating history of the Ricasoli family. 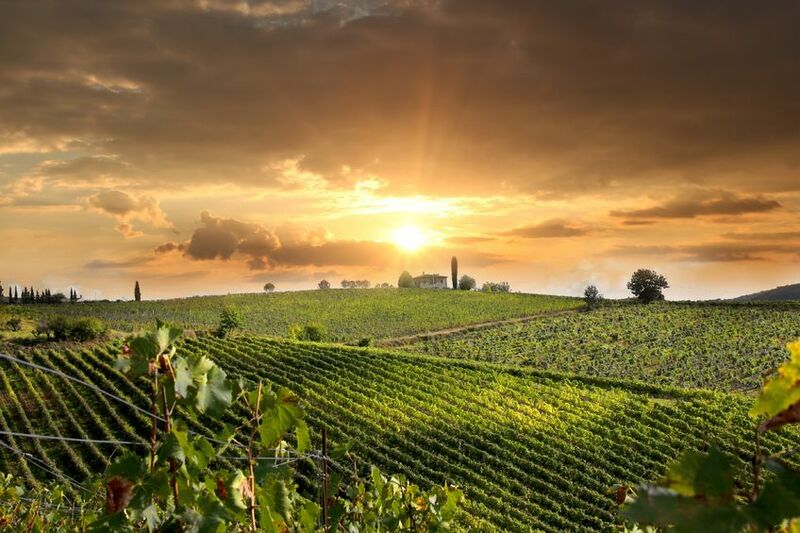 The barons have made fundamental contributions to the political history of Italy and the agricultural and enological development in the Chianti Classico area. After, the tour takes you to our incredible Cru vineyards, the most important in the estate. You will learn about the multifaceted soils, climate conditions, zoning projects and the research and selection of the Sangiovese biotypes. The whole system is based on a modern concept of viticulture and wine making which resulted in the birth of our grand cru wines. Our state-of-the-art vinification area combines productive functionality with an aesthetic environment to create an ideal facility for the production of excellent wines. The wines are then aged in barrels in the underground “barriccaia” located in the adjacent wine cellar. After understanding the philosophy and history of this estate, the tour concludes with a wine tasting in a private room of an exclusive selection of our wines. 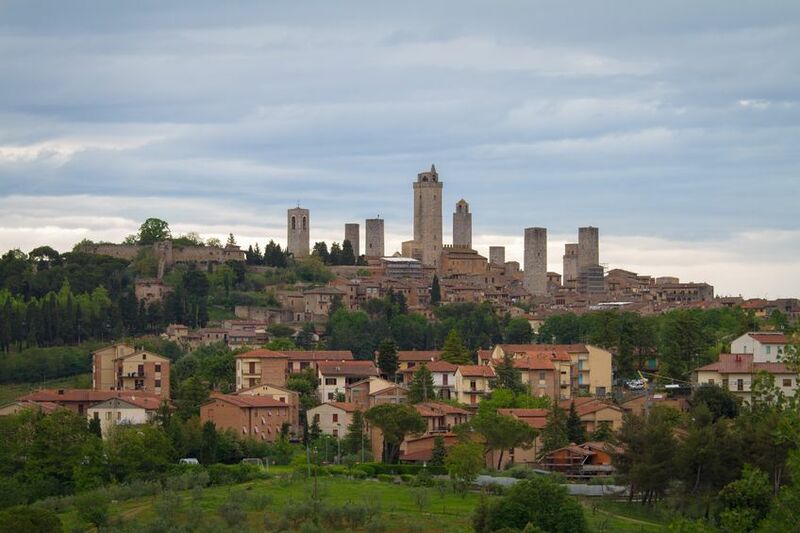 San Gimignano rises on top of a hill 334m above sea level, clearly visible in the distance with its many towers. Today 13 towers remain of the 72 towers of the fourteenth century, when every well off family built a tower to show its economical power (many of them are still visible in the buildings, even if they were cut off). 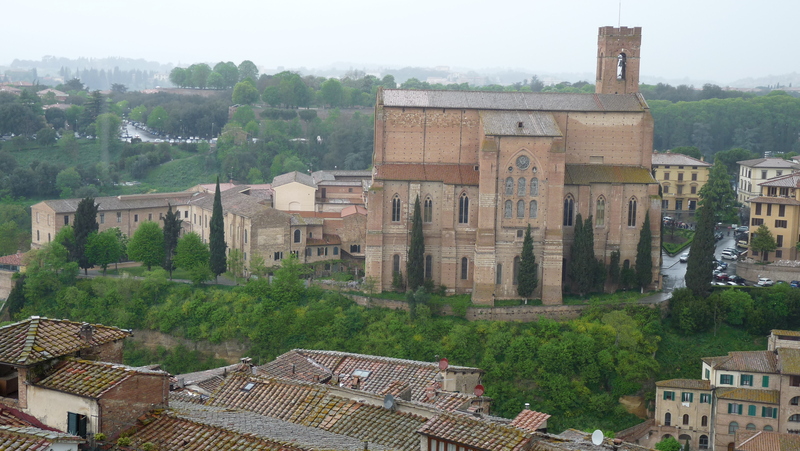 Departure by bus to Pienza, a charming hamlet belonging to the renaissance period . Transfer to Montalcino for a guided tour up and down through alleys and streets in the homeland of Brunello. You will go down to the Church of Sant’Egidio called the church of Siena, the Town Hall at the end of the thirteenth century, the arcades of the Piazza del Popolo in the fourteenth and fifteenth century, then goes back to the fourteenth century churches of St. Augustine and St. Francis with its annexed convents, and continue in gentle climb to the Cathedral. Transfer to Bagno Vignoni and check-in to the hotel. The all day is dedicated to personal program at Terme and Spa. Bagno Vignoni is a tiny medieval village where the main square is made ​​up of a tank of water. Singularity urban explainable as the housing and the church of San Giovanni Battista have developed around the hot spring is already in use in Roman times. Santa Caterina, a little more than a child was brought by his family to bathe in these waters who tried in vain to dissuade her from her religious fervor. Gpod-bye dinner at the hotel. Check out and departure by private bus to the airport. 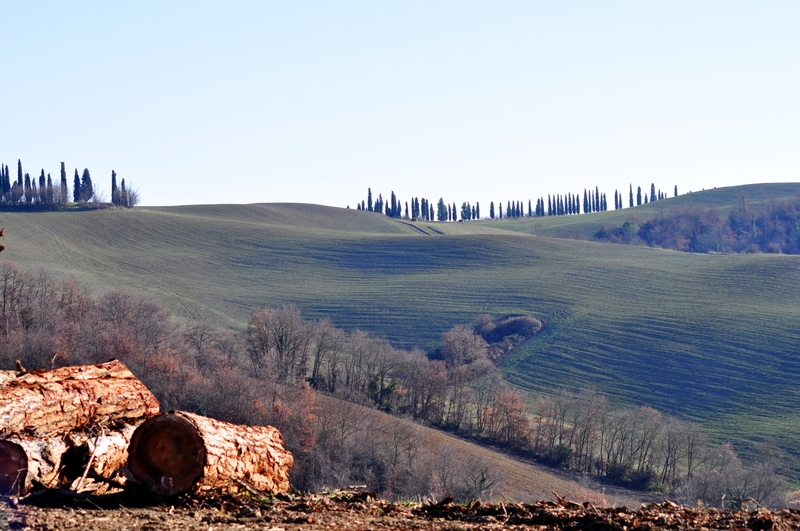 CLM Viaggi is a specialist tour operator for organising tours and holidays in Tuscany. Our aim is to offer, to those who choose our label, the possibility to discover the culture, tradition and history of our region. Therefore we propose special and customised packages and carefully selected services of high quality to enrich your holidays or those of your clients.